The process for filing a name change petition in Florida for minors differs slightly than the process for adults. If you are a minor under 18 years of age, you cannot file a name change petition on your own in Florida unless you are legally emancipated. You can, however, obtain a name change by having a parent or guardian file a name change petition on your behalf. To have a name change petition filed on your behalf, you must be a resident of Florida and of the county where the name change petition is filed. The parent or legal guardian who files the petition on your behalf does not have to be a resident of Florida. You must obtain the written consent of anyone who has legal rights over you. If you have a legal guardian, he must consent to your name change. If you don't, both of your parents must consent to your name change. The only exceptions to the consent requirement are when one or both of your parents are dead, or one or both of your parents have had their parental rights terminated. You may not change your name for a fraudulent purpose, such as to evade prosecution for a crime. Your new name may not contain a racial slur or obscenity, and it may not cause confusion -- by including punctuation or a number, for example. Your new name may not affect the rights of another person -- for example, the court may reject the name change petition if you attempt to adopt the name of a celebrity. You must begin the process of changing your name by having your parent or guardian file a name change petition with the Superior Court sitting in the county where you reside. 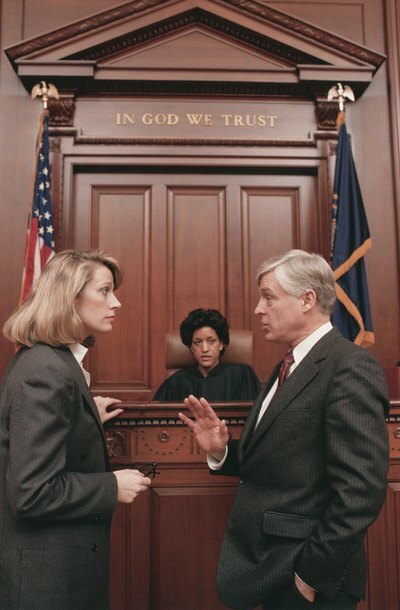 The court will notify anyone who is required to provide written consent to your name change. The name change petition must assert that you are a resident of the county where the petition is filed. It must identify your birth place and birth date, your parents' names, and your places of residence since birth. It must also state whether your name has ever been changed before and whether you have ever been convicted of a felony. The petition must affirm that neither you nor the adult filing on your behalf is seeking the name change for an illegal or fraudulent purpose. If the court approves the name change petition, it will issue a name change order and provide the petitioner with a certified copy of the order. If you are married, or have ever been married, Florida law considers you legally emancipated even if you are still under 18. This means that you may file a name change petition on your own without seeking a parent or legal guardian to file on your behalf. It also means that you don't need to obtain the permission of your parents or legal guardian to change your name. People change their names for a variety of reasons, including marriage, divorce, or adoption. Changing your name in the state of California generally requires a petition for name change, and a court order if you are changing the name of a minor. Name changes are filed in the Superior Court of the county in which you reside. What Is the Youngest a Person Can Be to Change His Name?